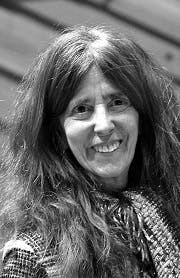 Friends of New York theater icon Elizabeth Swados come together for a reverent celebration of her progressive vision, inexhaustible creative energy, and far-reaching influence. When her invigorating musical Runaways opened at the Public Theater in 1978, Swados stepped out as a revolutionary who would redefine musical theater. Across dozens of works like Medea, Fragments of a Greek Trilogy, Alice in Concert, Nightclub Cantata, and Groundhog, Swados made sharp critiques of society while never managing to lose a sense of wonder and hope. As a revered mentor and professor at New York University’s Tisch School of the Arts, Swados shaped several future generations of theater artists. Many of them will contribute songs and stories to this special tribute directed by Swados’s longtime collaborator and music director, Kris Kukul.